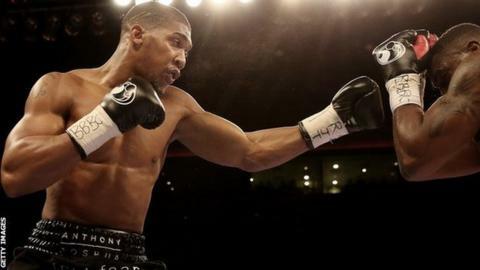 Unbeaten English heavyweight Anthony Joshua has pulled out of his fight with American Kevin Johnson on 31 January after aggravating a back injury. A scan showed Joshua suffered a Pars Stress Fracture, and withdrew from the bout after medical advice. The 25-year-old said: "This injury is something I need to get sorted as soon as possible." Joshua recorded a first-round stoppage against England's Michael Sprott in his most recent fight. Hearn says the Watford-based fighter hopes to return in April.